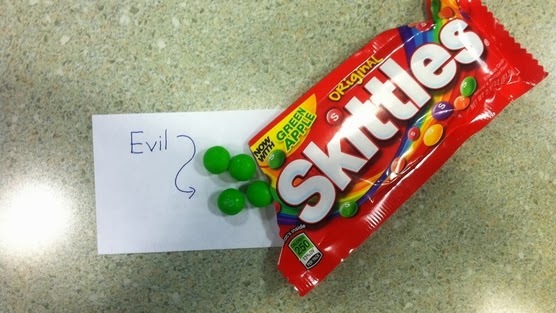 Semi-old news: Green Skittles have switched from lime flavor to green apple. I had some today and wasn’t very happy. I don’t do the one-at-a-time thing. I eat a few at a time, and they just don’t mix. Not ok with this change.